UMD SA members at the Minnesota State Capitol in 2017. From left: Mitchell Farmer-Lies, Mati Hanson, Mike Kenyanya, Caitlyn Walker and Cameron Lulic. Photo Courtesy of Student Association. 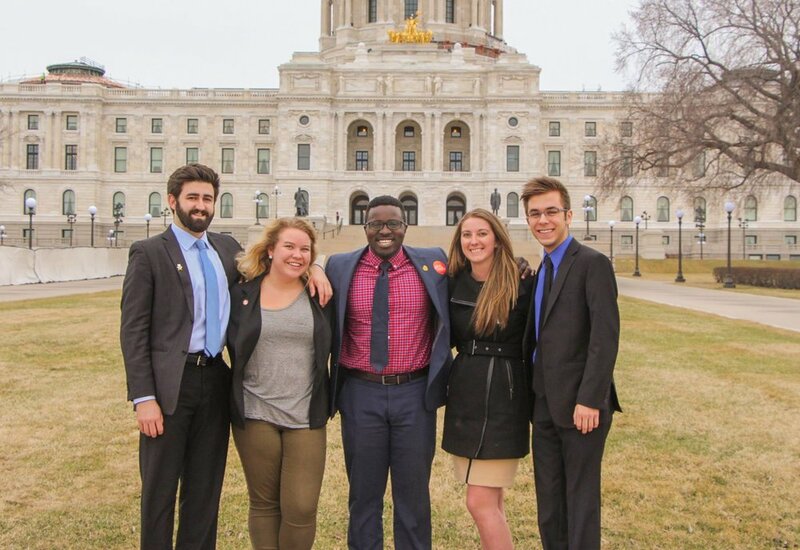 On March 1, the UMD Student Association (SA) will travel to the MN State Capitol to advocate for UMD. Around 50 students will join to engage legislators in conversation about what makes UMD a unique part of Minnesota. “Students get an opportunity to go down to Minnesota State Capitol and share their story with the legislator and remind him or her an importance of financing higher education,” Vice President of External Affairs Pavel Arkhipenkov said. 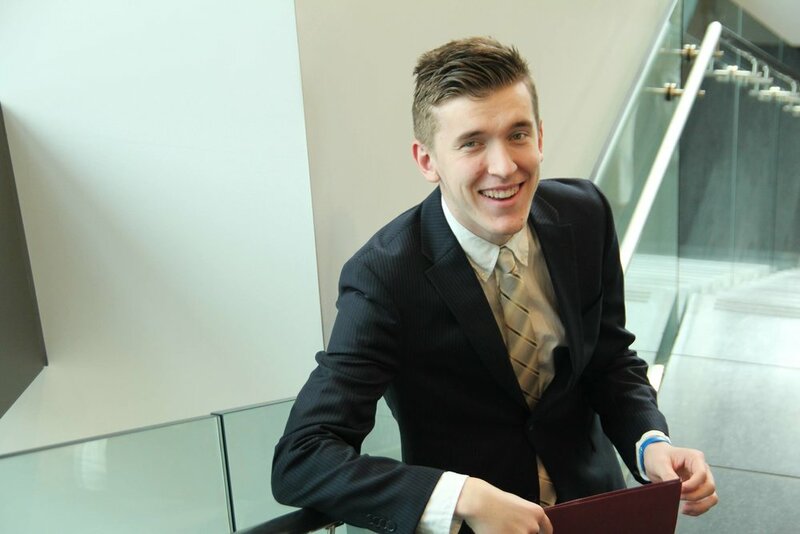 Arkhipenkov attended the Bulldog Lobby Day the two previous years and said that both were some of the greatest experiences he has had in his college career. Freshman Representative Olivia Osei-Tutu is on the legislative relations committee and has been part of helping make the day happen. She said that she is excited to attend her first Bulldog Lobby Day. “I’m looking forward to meeting the representatives,” Osei-Tutu said. Vice President of External Affairs Pavel Arkhipenkov at Bulldog Lobby Day in 2016. Photo courtesy of Student Association. Arkhipenkov said that SA is looking forward to do an opening ceremony in the Capitol’s Rotunda, including interesting speakers. He also said that SA is looking forward to bringing topics such as building renovations to the capitol. For students who won’t be able to make it to the Bulldog Lobby Day, Legislative Relations Director Jake Griffiths said that there is tabling going on in Kirby during the day on March 1 where students can get involved. “They have computers set up where you can tweet to your legislator or send them an email,” Griffiths said.